game-changing arguments, and appropriate principles." ■ the real Universe explained without employing advanced mathematics, without invoking fanciful speculations, and without resorting to faith-based revelations. * The Dynamic Steady State Universe theory ---the definitive model of our Universe based on the premise that all things are processes. How do we know that the DSSU is the Real Universe? Press Release (2017 Dec 30): The Sacks-Wolfe Effect has been disproved! Y E S ! I T I S T R U E ! The claim has long been that the Big Bang is supported by two powerful Pillars. The cosmic microwave background radiation (CMBR). Cosmic Redshift in the Nonexpanding Cellular Universe and Abstract. Journal article Preprint (with high-quality images). The problem with the 2nd Pillar is that the CMBR is simply the background temperature of our infinite Universe. It is merely ultra-distant starlight that has undergone extreme cosmic redshifting (light wave stretching). The Big Bang has lost its Pillars. It is no longer a viable hypothesis. A theory or hypothesis that has no supporting pillars is merely pseudo-science, at best. The Big Bang has been exposed for what it has always been, an elaborate misconceptional myth wrapped in pseudo-science —a grand creation myth! Time to wake-up to reality. If you have been led to believe that the Universe birthed from an explosion and the whole Cosmos is expanding, then you can be led to believe anything. Then sadly, you can be led to believe anything the mind manipulators in our modern indoctrination institutions want you to believe. If you still have some ability to think freely, then reflect on the foregoing and ponder: what other false "realities" have you been led to believe? We know on the basis of several recent discoveries and the overwhelming convergence of the evidence. The DSSU incorporates the causal mechanism of gravity. Space-medium expansion (Lambda), space-medium contraction (Einstein’s contractile gravity), mass & energy, gravity-domain limits, … all fit into a unified fully-functional mechanism of gravity. Details: "The Processes of Gravitation –The Cause and Mechanism of Gravitation," J. Mod. Phys. Appl. Vol.2014:3 (2014). 24-page pdf . Uses the recently discovered redshifting mechanism —one that reveals the true nature of Hubble’s great 1920s discovery. … Edwin Hubble had long-believed that the universe was not expanding, but rather that the astronomical redshift, in his words, "represents a hitherto unrecognized principle of nature." That long-unrecognized and surprisingly simple principle of nature has now been found! For the amazing details see: "Cosmic Redshift in the Nonexpanding Cellular Universe: Velocity-Differential Theory of Cosmic Redshift," abstract & links to paper. Its new velocity-differential redshift agrees with independent observation-based cosmic-distance scale. Details [Th9ajaaPreprint]. DSSU is the only known cosmology able to explain the most intractable observable anomalies. Its predicted cell shape agrees with astronomically observed structures, thereby resolving long-standing astronomical anomalies —while still retaining the foundation premise of all modern cosmology! Details: "DSSU Validated by Redshift Theory and Structural Evidence"
It predicts the process by which galaxies acquire their observed elliptical shape. Details: “Ellipticity, Its Origin and Progression in Comoving Galaxies.” American Journal of Astronomy and Astrophysics. Vol.3, No.2, 2015, pp12-25. The DSSU has no initial-condition problems. It requires no initial conditions to get the universe started —none whatsoever. And no breakdown of physical law within black holes. We know on the basis of unambiguous evidence convergence. It has now been confirmed, the Big Bang is no longer a viable hypothesis. A major game-changing event: The publication of the proof of validity of the DSSU (Dynamic Steady State Universe) and the exposé of Big Bang’s utter failure. The Big Bang has now, as of 2015 October 10 (the on-line publication date), been definitively disqualified as a representation of the real Universe. 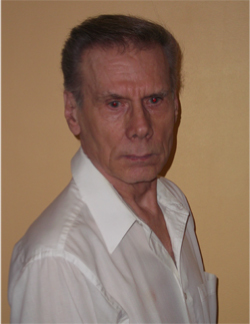 · Exploits an amazingly simple cosmic-redshift mechanism overlooked by the experts! --- The astounding feature of the cosmic redshift is that wavelength elongation can occur in both expanding and contracting portions of the Universe! Press Release: ApJ refuses to comment on major discovery/proof that the Universe is cellular and not expanding. The Journal is simply not interested. Furthermore, it seems oblivious of the biggest anomaly in astrophysics! “We have now completed our review of your manuscript, and I regret to tell you that we are not able to undertake further consideration of your submission for publication in The Astrophysical Journal. What!? What about the obvious evidence presented with quality images? What’s going on here? The World is changing. Witness the on-going social revolution, succinctly described as a full-blown orchestrated decline of Western nations. The devious and highly effective divide-and-conquer strategy of the New World Order continues to be implemented; and the predictable nightmare of Marxist multiculturalism continues to unfold. The Sacks-Wolfe Effect has been disproved! While society, sadly, is suffering through a regressive revolution, positive and pronounced changes are happening within the ages-long Quest of our species. Astrophysics and cosmology are undergoing the greatest, most profound, revolution in the history of science as Mankind progresses towards a breathtaking new understanding of the way the Universe works. The latest development: It has been revealed that the Sacks-Wolfe effect is founded on a false assumption. A straightforward argument has shown that the Sacks-Wolfe effect is invalid. This means it can no longer be used to explain the patchiness of the Cosmic Microwave Background Radiation —it cannot be used to explain temperature variation of cosmic regions. Most important of all, the Sacks-Wolfe effect can no longer be used to support the Big Bang hypothesis! 1. The particle of light, the photon, is an extended entity —it has a wavelength. 2. The space of the Universe, by which is meant space-as-a-container or the background space of three dimensions, is NOT a region of nothingness. These facts negate the viability of the Sacks-Wolfe Effect. Any sort of counterargument, advanced in an attempt to defend the Effect, requires a rejection of one or more of those three foundational conditions. No reputable physicist, no rational person, is willing to do that. None will deny the photon, or a wave packet, is an extended entity —that it has a wavelength. No one would dare claim that “space” is an empty nothingness! And it is inconceivable that anyone would reject the reality of the gravity premise. And so, the argument against the Sacks-Wolfe Effect is foolproof. It collapses the last Pillar of the Big Bang hypothesis. This is the Pillar acting as the supposed explanation of CMBR temperature variation. It now joins the other fallen Pillars. The “Pillar of receding galaxies” was previously debunked. See the article, Cosmic Redshift in the Nonexpanding Cellular Universe [Ref.#2]. The “Pillar of CMBR” turned out to be nothing more than the unchanging background temperature of the Universe. The “Pillar of universe expansion” required, as it was believed, by Olbers’ paradox was overturned in 2016 (in conjunction with the discovery of the velocity-differential cosmic redshift). See the article, Olbers’ Paradox Resolved for the Nonexpanding Infinite Universe [Ref.#3]. There are no other remaining pillars, only makeshift braces and portable props. The Emperor of 20th-century Cosmology has been exposed. The Big Bang has turned out to be a mega-myth! —an embarrassing concoction of misinterpretations! Exactly. Facts are needed to return us to reality. And the new fact is that the Sachs-Wolfe effect has no foundation —it is not real. The last Pillar of the Big Bang has collapsed. The Expanding-universe cosmology has no valid scientific support. Here is the link to the Sacks-Wolfe-disproof article. ... This is simple enough for the layperson. So don’t let the math discourage you. Some of it is merely basic algebraic addition and subtraction. Most of the math is not even necessary; it merely gives the presentation a scholarly flavor. Just know that the underlying logic is simple —a foolproof and compelling argument presented with the aid of various figures (14 in all). Supplementary: A good description and illustration of the Sachs-Wolfe effect may be found in the cover story of Scientific American (the 2016 August issue), “The Emptiest Place in Space” by István Szapudi. What drives astrophysical jets? What process or mechanism generates the stupendous power of those spectacular emission jets associated with certain compact stars? Even the energies of the individual particles are mind-blowing. The emissions include gamma photons and neutrinos with energy equivalent to a million hydrogen atoms!! Imagine that much energy contained in a single gamma photon or a solitary neutrino! The causal driver has been one of the biggest mysteries of the universe —one that has baffled the academic cognoscenti for decades. 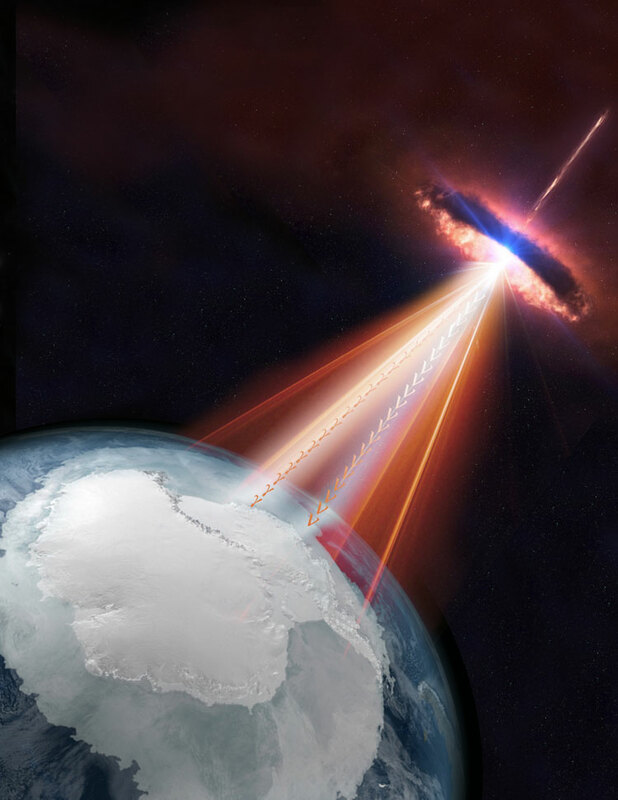 The DSSU paradigm now brings to astrophysics a new mechanism by which a gravitationally collapsed body produces energy —the energy that feeds emission beams and then drives polar jets. First category. The energy is extracted from external magnetic fields —generated by the rotation of an accretion disk diffused with charged particles. An example is something called the Blandford–Znajek process. Its major weakness is its inability to explain the presence of jets for objects that have no accreting mass. Second category. The energy is extracted from the rotation of the collapsed body itself. The logic here is that the angular momentum (the energy of the rotation) of the black hole’s mass is conveyed to the external world by way of frame dragging. Then the external environment responds by somehow producing jets. An example is the Penrose mechanism. The fatal weakness of this hypothesis is its inability to explain the presence of jets for objects that have negligible rotation. Both extraction methods fail to explain the truly extreme energy, the ultra-energy particles. Now there is a third way. While the traditional methods all require that radiant energy be generated in the external environment, the DSSU approach has radiant energy emanating from within! Table 1. There are only three basic ways to explain the energy source for the jets associated with critically-collapsed stars (commonly called stellar black holes). Magnetic fields associated with the dynamics of an accretion disk surrounding a stellar black hole. Various complex relativistic and electromagnetic effects involving the rotating disk and its charged particles. Problem: FAILS to explain the jets of disk-free objects. Energy is derived from the rotation of a black hole. This would have to be the energy of the mass’s angular momentum. The rotation causes frame dragging, which then somehow causes jets. The frame dragging is caused by the rotation of the singular mass; but there is no plausible explanation of how a singularity —a point mass of zero dimensions— can possess angular momentum or rotational kinetic energy! Generation mechanism: Velocity differential blueshift acting on photons and neutrinos. Escape mechanism: via bipolar magnetic portals. Most profoundly, the new approach is a mechanism whereby energy is released from INSIDE a totally collapsed gravitating body (misleadingly called a stellar black hole). The result of recent research into the DSSU, it is the only such mechanism ever devised without violating the laws of physics and without incurring infinities. DSSU theory offers the first and only method for powering jets that does not require rotation or an accretion disk. The latest research paper under the DSSU paradigm delivers another devastating blow to conventional physics and astro-science. ■ First compelling explanation of the mechanism powering astrophysical jets. ■ First reality-based explanation of the energy source when there is no spin, no accretion, no disk —when conventional theories fail. ■ Details the mechanism for the generation of ultra-energy gamma particles and Peta-eV-energy neutrinos (neutrinos having 1,000,000,000,000,000 electron volts of energy!). ■ The first and only theory for the emission of energy from the inside of a totally collapsed (gravitationally collapsed) structure. ■ And as the followers of DSSU theory have come to expect, the explanations are perfectly natural; the concepts are straightforward, the arguments logical, the conclusions compelling, the implications profound. 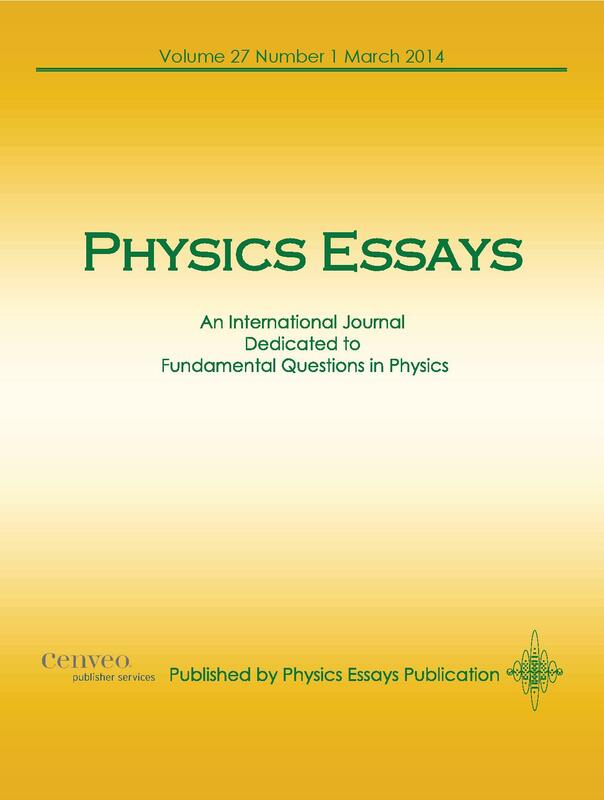 * Reprinted by permission of Physics Essays Publication, from Physics Essays, Vol.31, No.3, p358-376 (2018). For the first time in history, the diverse manifestations of gravity are brought together by one surprisingly simple process. The new research paper, entitled The Nature of Gravity –How One Factor Unifies Gravity’s Convergent, Divergent, Vortex, and Wave Effects, details the unification of the various aspects of gravity. It also presents a remarkable new development in the theoretical nature of gravity waves and proves the existence of a strict limit on the centrifugal effect. Ongoing research into DSSU Theory has uncovered a way, a perfectly natural way, to bring all four (five if the primary cause is included) manifestations of gravity together under the “aether” umbrella —under the distinct aether that serves as the foundation of DSSU theory and DSSU cosmology. * Unified by a simple factor (a two-sided process) are, two primary manifestations, and two secondary effects, and acoustic-like gravity waves. (1) Convergence gravity. This is your normal everyday gravity. It includes Primary gravity associated directly with mass AND Secondary gravity associated only with the convergent gravity field. (2) Divergence gravity. This is what Einstein called Lambda (the cosmological constant) and popularly known as cosmic antigravity. (3) Vortex effect. 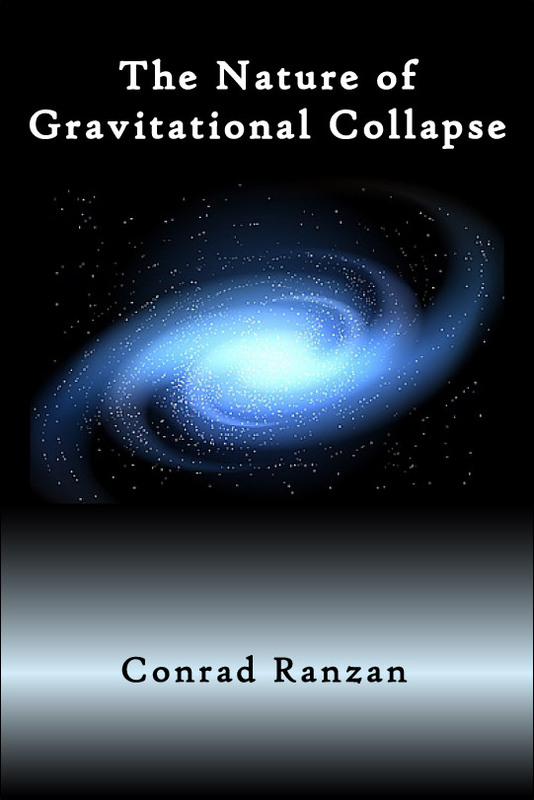 This is best described as a spiral-motion amplification of gravity. It manifests in the region around significant rotating structures. (4) Gravity waves. These are acoustic-like effects conducted by the universal space medium. Yes! Linked to the universal space medium —but not in the way that others have been attempting for centuries. The Vortex effect, it turns out, has profound implications for understanding spiral galaxies —for making sense of their rotation curves. As noted in (3), the effect acts as a booster of gravity; this, in turn, makes it appear as if there is significantly more mass present than what astronomers actually observe, or estimate to be there. It is quite elementary to see how this gravity amplification makes the invoking of “dark matter” entirely redundant. However, the strangest implication to emerge from the research into the Vortex effect must surely be the diminishment of the centrifugal effect. Here was yet another gravity-amplifying mechanism. Following the carefully constructed logic and taking the Vortex effect (often called the frame-dragging effect) to its ultimate conclusion, it was found that the centrifugal effect totally vanishes! It was a stunning conclusion. Under the given conditions, the rotation rate of a gravitating body has no upper limit! --- The research reveals how, in the real world, the centrifugal “force” depends on the rotation speed through aether —and how Nature has a way of reducing that speed (via the mechanism of aether drag), even to the extent of entirely cancelling all centrifugal manifestation. Last on the list is gravity’s acoustic aspect. And here again the investigation revealed something unexpected but unavoidable. In a surprising development, it was found that gravity waves fall into two categories of waves —only one of which carries defined energy. Summary Table of the major stresses to which the universal medium is subjected. A unique aether theory of gravity —based on DSSU’s dynamic aether— has been developed to explain the several guises of gravity. The convergent, divergent, vortex, and wave effects all have one thing in common: They all result from the stress-induced change in quantity of aether. The opportunity this presents is nothing less than revolutionary. It opens the door to a new level of understanding our Universe. DSSU gravity, based on a subquantum medium, encompasses a full range of manifestations —from autonomous cosmic-scale gravity domains, down to the maximum compaction and intensity of terminal-state neutron stars— without ever becoming singular. In other words, there is no black-hole paradox. The Nature of Gravity –How One Factor Unifies Gravity’s Convergent, Divergent, Vortex, and Wave Effects. DOWNLOAD Reprint of Article: PDF file. DSSU aether is a nonmaterial substrate consisting of discrete subquantum entities (pulsations). It possesses no energy when in a static state. Yet its presence is essential for manifesting energy —any and all forms of intrinsic energy. The energies associated with gravity are the most immediate examples in the context of this article. Awesome astrophysical mechanism for the amplification of energy has been uncovered. Following several years of research, it is now understood how Nature is able to extract energy from the universal space medium (aether). What has been uncovered is a fundamental mechanism whereby limitless energy is extracted from nonmaterial aether. Sounds bizarre, but is supported unambiguously by the science. What is so remarkable about this process is the fact that it does not require the universal space medium to possess energy. Let me make this absolutely clear, energy is extracted from the aether, yet the aether itself contains NO energy! It is a stunning finding. The process can be easily understood. Based on the spectral shift caused by a velocity differential of aether flow, it is as straightforward as changing the wavelength of light. It is just the opposite of what is familiarly known as redshift. The process is enormously powerful. The profusion of the energy that emerges staggers the imagination … 1000 times more powerful than anything (mass or energy particles) produced by CERN or any other particle accelerator. Then there is the considerable breadth of applicability: The process plays a crucial role in resolving five of the greatest mysteries in astrophysics. 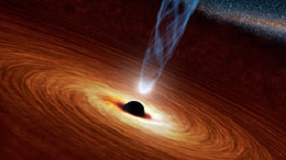 ■ The great mystery of stellar black holes. The energy-extraction Mechanism exposes the black hole singularity as an obsolete and untenable concept. ■ The mystery of electromagnetic radiation bursts. The Mechanism explains how energy extracted from aether contributes to the cosmic source of electromagnetic radiation bursts (ranging from radio to gamma frequencies). ■ The mystery of the ultra-energy neutrinos. This is resolved by revealing how ordinary neutrinos undergo a vast amplification, thereby generating the most potent energy particles in the universe. ■ The mystery behind astrophysical jets. This is resolved by providing the veritable source of the driving energy. ■ The greatest mystery of them all. The energy-extraction Mechanism solves the mystery of how Nature transfers energy from the interior of an end-state collapsed star —from the forbidden side of the lightspeed boundary (conventionally called the event horizon). For the record, a totally revolutionary feature: The energy is extracted from the space medium (aether) yet this space medium itself has NO MASS and NO ENERGY! … Furthermore, the amount of energy that can be extracted is limitless! Published in Infinite Energy Magazine (2019 March/April) is the fascinating story  of how a totally collapsed (gravitationally collapsed) body —a type of neutron star best described as a terminal-state star— takes in comparatively low energy radiation particles and spews out high-energy and ultra-energy radiation particles, namely photons and neutrinos. It is the story of the universe’s most powerful, most prodigious, energy amplifier. The published article reveals how aether is able to generate and amplify energy. Described is a process whereby low-energy CBMR energy is converted to gamma radiation and ultra-energy photons —and neutrinos with energy far beyond anything ever produced by Man’s particle accelerators. Take a moment and reflect on the profound implications, both scientific and philosophical, of what has been uncovered  : We are now able to recognize, at a fundamental level, what regenerates the energy of the Universe. We are now able to comprehend the mechanism by which the Universe perpetually regenerates its energy! —even to fathom how the Universe perpetually regenerates itself ! ............. Infinite Energy Vol.25, Issue#144 (2019 March/April). The year 2015 marked the 100th Anniversary of the founding of the theory of gravity called General Relativity —the theory upon which Universal-Expansion cosmology is based. In 1915 was born the theory that became, in 1917, the mathematical foundation of single-cell cosmology. And it was later modified to serve as the bedrock of the Big Bang hypothesis —the speculative idea that the Universe exploded in the past and is currently expanding! In the milestone year of 2015 the Old and the New cosmologies collided. The New exposed the fatal flaws of the Old. It was the year in which all whole-universe expansion models —this means all General Relativity Universe models— became untenable. They lost their validity. The century-long experiment of extending Einstein’s brilliant local-gravity theory to encompass the entire Cosmos had failed. … The unrestrained extrapolation of what was primarily a mathematical theory had flunked the test of reality. With the publication of the definitive resolution of a long-standing mystery of our age —the greatest structural mystery in astronomy and astrophysics— the Expansion models have forever lost their scientific credibility. Welcome to the nonexpanding Dynamic Steady State Universe! As for the cell structure that manifests as The Cosmic Web: In the DSSU, the cosmic cell structure is NOT phenomenological. It is NOT a phenomenon of the evolution of the universe; rather, the cell structure is fundamental and intrinsic. In this essay we explore cogent arguments in favor of an intrinsically cellular Universe —why it is not mere accident that the Universe is structured this way. Finding that the case for cellularity is overwhelmingly convincing we are led to ponder why the astrophysicists and cosmologists of the 20th century failed to adopt the concept as a key feature of the Universe. Think about it: Intrinsic cellularity implies some sort of regularity, some sort of orderly arrangement; but if the opposite, chaos and randomness, is the guiding principle of one's cosmology then grand-scale order makes little sense. If the Big Bang is part of one's belief system, then entertaining the idea of systematic cosmic patterns is strictly heretical. The experts of the 20th century blundered —badly. They knew the World was a cosmos of dynamic space; they knew that, since "space" is not nothingness, it has to be "filled" with a dynamic space medium; they knew these things on the acknowledged authority of Albert Einstein. In fact, these essentials were known as early as 1839 when when the French polymath Augustin Cauchy (1789-1857) proposed the very first dynamic space medium, an aether-like medium that had the ability to contract. And whatever has the ability to contract surely has the countering ability to expand (this was later confirmed by Einstein's theory of gravity). In any case, the experts were faced with a basic choice: There were FIVE ways the space medium of the Universe could be dynamic. They extensively investigated four categories of "dynamics." In the end, they settled on one —the consensus was that there is a universal expansion of the space medium. And so, with the some extraordinary extrapolation the 20th century became the age of EXPANDING universe models. ... However, in making the choice, they missed the FIFTH way! Yes they did. Unbelievable as it may sound, they failed to see what they could easily have seen. In fact, they failed to see what they should have seen because it is well within the domain of the foundation principle of all modern cosmology! Well, it turns out that the expanding-universe models don't work. The steady-state expanding models don't work; and explosive expanding models (think Big Bang) don't work. All are problem plagued constructs. It matters because the real Universe is cellular —it is innately, stably, provably, cellular. It matters because the consequences are revolutionary. There are five possible combinations of vacuum expansion and contraction. Each combination defines a category of universe models. ... Only one leads to a consistently problem-free cosmology. Participate in a unique exploration of the Cosmos. Venture into the sub-atomic realm, even into the sub-quantum realm where the roots of reality reside, and into the vast domain of cosmic-scale cell-structure and beyond to infinity. Along the way, discover the cause of mass, the cause of gravitation, and rediscover Einstein’s “nonponderable” aether and Heraclitus’ harmony-of-opposites principle. The foundation of modern cosmology holds that the cosmic-scale structure of the Universe is ruled by two forms of energy —gravitational energy and ″vacuum″ energy. Physicists believe that the two act in opposition to each other —as opposites in conflict. These physicists are totally and provably wrong! The reality is that the two force-effects act in harmony —in a remarkable cosmic-scale harmony of opposites. Library: Available at the Niagara Falls Public Library. May be borrowed (free of charge for residents of the Province of Ontario) through the Ontario Public Library system. Review: Ahh, yes— “… above all, for the enrichment of motivated individualists everywhere, those free thinkers of our three-dimensional world, let us proceed with the construction of the Natural universe.”... Well said! I began reading “The Search for Understanding” and was so transfixed I could not put the Chapter down! What a beautiful introduction and captivating read. I’ve always admired your writing, at its most telling and lyrical, but this one tops them all. What a marvelous beginning to the book and I would not change anything about the lovely flow, context, historicity and science narrative you so brilliantly put together. Enjoyed the section “The Mythology Search” with its Roman Gods and so many others; and the section “The Religion-Restricted Search” with its tragic tale of Giordano Bruno. In the section “The Natural Law Search,” I loved the focus on the Greek philosophers and felt overjoyed by the Heraclitus, single sentence fragment DK22B30 (“everliving fire ...”). I found, on page 31, a gold nugget among so many that preceded, and this was the great, J. J. Thomson memoire; so very fitting here! And my applause grew louder as I approached the page-34 material ending with “… cosmology by the end of the century lost all connection with reality.” I also found the Richard Feymman quote very nicely placed on page 38, preceding the section “The Resumption of the Natural Law Search.” ... So too the wonderful quote from Halton Arp, on page 40. He is one of my all-time heros! … There is more, like the segment on the Catholic Church which delighted me and the segment on Giordano Bruno is so deserved and beautifully presented. All in all, you’ve succeeded in grabbing the attention of sophisticated readers. Well done! Review: According to the famous cosmologist Edward Harrison, "We must sometimes doubt what everybody is sure about." Review: This important chapter reads well and is nicely done ... ideas clearly explicated. The "Gravity Theories" segment is excellent. I remain impressed how beautifully the historical backgrounds are handled and how readers are provided with a helpful summary chart of the various gravity models. Review: Beautifully written and flows like Aether: clear, profound, conveys the heart of the DSSU. Powerful. ... Loved the extended segment on Steven Strogatz and his "Emerging Science of Spontaneous Order"; what a great find. I've not come across this conceptual application of spontaneous synchronization before. Review: Chapter 6 absolutely delighted me; all the more so since it resolved, in convincing fashion, some remaining questions I’ve had about Black Holes. The presentation is right-on, black holes and event horizons are pure fictional fantasia in contrast with the ‘natural’ answer lying in the DSSU, in its aether-deprivation Terminal Process. My assessment was decidedly reinforced after reading, cover to cover, Leonard Susskind’s “The Black Hole War.” I respect Susskind, who writes with wit and clarity. There is little doubt he is influential and brilliant but this stops short of his having anything convincing to say to me about cosmology and black holes. His Holographic Principle is fantasy ridden and like so many of his bright colleagues, he is tied at the hip to Big Bang theory. I enjoyed his back-and-forth personal exchanges with Stephen Hawking at the Santa Barbara conference in 1993 along with Gerard ‘t Hooft, Penrose, and other luminaries, debating the so-called “Black Hole War” that has raged on endlessly for more than a decade. Susskind’s book, written in 2008, was well worth reading for reasons that went beyond Black Holes into other issues from which I learned a lot. His particle “propeller” and “hub” metaphors with illustrations were keenly intuitive and more. Stay tuned, Mr. Susskind, help is at hand! A “Guide” book is now available. Review: I am left breathless by “Spatial Infinity” because it is eminently readable, erudite, compelling and powerful. Yes, all-encompassing and beautifully written without a hiccup to be found. I absolutely love the concluding Ockham-Razor, Cosmological Principle, Philosophical Arguments and how the Chapter closes with the last word on Time and motion. … All in all, a fine chapter—an organic whole and one that relegates Big Bang theories to the dust bin, once and for all. Review: I had to read this chapter twice. … I found the chapter done fantastically well: start to finish. I might only question the “global warming” metaphor on page 178 but it’s a minor issue not worth discussing. Redshift, Hubble distance, powerful CBR discussion, Universe as a Thermodynamic System (Laws) and (Fig. 9-1, 9-2, & 9-3) are truly masterful and convincing to any and all awake lay and sophisticated readers. Defining the deeply misunderstood cosmic reality of CBR destroys, once and for all, the century old torch carried by the Big Bang crowd and their minions. Successfully hammers them with beautifully written informative erudition, “The Ultimate Test” (Fig. 9-4); all truly well done. I also found everything on pages 183-191 riveting because you minced no words when discussing Heraclitus (powerful fragments) and contrasting this with ancient Brahmanic-Vedic cosmology followed with Friedman, Steinhardt-Turok, Hoyle, Eddington discussion. I especially admire how you beat up on the “fireworks” crowd. Indeed, DSSU theory, heralding the natural perpetual “Universe Is” concept, uniquely breaks away from all cosmologies from the past. Your concluding pages are much appreciated because they filled in many philosophical insights and comparatives that I have thought a lot about over these past years of DSSU study. These latter pages contain the remarkably profound segment on the “necessity of limited existence” which I found exciting and will continue to ponder over. Yes, indeed, the Heraclitus “eternal fire” universe is timeless but the “stuff” (energy processes) as it is described coming into being for some 100 billion years must in the end find its Terminal Annihilation. This is not yet totally absorbed in my mind even though I take seriously the concluding admonition “not to overextend the principle of limited existence.” Unequivocally,“the universe is the sum total of what is and what is continually coming into existence and what is passing out of existence. Nothing more, nothing less. In the context of processes, the universe is the sum total of the energy process(es) and termination process(es).” I understand the depth of this, but I question not the postulated logic but the philosophical consequences that comes with a human brain/mind (each of us possess) powered by 200 billion neurons with synaptic connections in the cerebral cortex alone, equal in number to all the stars within 1,500 Milky Way galaxies! (Yes, of course, small potatoes when considering the DSSU infinite cellular universe to be sure: BUT I have questions about this...?) The DSSU universe has no beginning and can have no end. In this way the universe is perpetual—its being is forever... and yet, as the chapter conclusion reminds us, “you cannot have a universe that is perpetual in time.” I was left excited and breathless by your concluding thoughts! Again, Chapter 9: wonderful, provocative, logical and the science impeccable, and, I must say, held some surprises for me! Review: I read Chapter 10 several times because it is readable and flows without a hitch. It covers a lot of important ground, clarifying the riddle of gravitation and mass, giving a clear understanding of historical aether, giving it the attention it deserves, and always maintaining the connection to the DSSU; it supports all earlier chapters extremely well. The sections “Resolving the Riddle of Gravitation,” “Simplification of Fundamental Forces,” “Elliptical Galaxies,” “Gyrating Galaxies,” “Agreement with Special Relativity,” and “Resolving the Mystery of Mass” are all very clearly presented and nicely done. I certainly enjoyed the description of elliptical galaxies. I’ve not had any interest in ellipticals but will not look at them the same after reading the splendidly original presentation. I detoured through Google to find the literature on this and found a lot of confusion about these objects. I had always thought that ellipticals (with their abundance of old stars) were subject to angular momentum and thought they generally rotated but this appears not the case (even though there may be some exceptions). The highly interesting Figs: 10-1, -2, -3, & -4 show the natural progression and relationship of ellipticals to majestic spiral galaxies that caused me to study this ever more closely. It would appear that ellipticals (variously sized in appearance), perhaps very early on (billions of years) within DSSU voids and likely before our Milky Way/Andromeda spirals began their dynamic pulling, gyrating dance to coalesce as one all the while bound toward their inevitable nodal-cluster destination. I like how the Milky Way, Andromeda and nodal Virgo Cluster were woven into this discussion. I appreciate realism and observation with DSSU and enjoy citing this with friends. The aether historical background so beautifully woven into mass and the direct cause of gravitation is an awesome presentation and utterly revolutionary in scope. 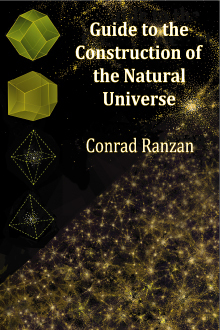 No one has succeeded as well as Ranzan has in connecting aether, mass (“resolving the mystery of mass”), and gravitation. Climactic and splendidly done. I love the author’s expression, “Our conceivable and perceivable Cosmos is an electromagnetic manifestation on a regenerative aether substrate”... Simply, beautifully stated. I remain with a philosophical question or two about the cosmic aether, but who among us has not when confronted with an utterly beautiful universe pondered its relationship to life and consciousness? By all accounts, this aether substrate is truly amazing in its ability to solve long-standing mysteries. The concluding segment, “Resolving the Mystery of Mass” should be mandatory reading for all aether deniers and dreamers of the Higgs field/particle. Review: Chapter 11 is a gem. It deserves the highest possible praise throughout. Due diligence is given to the late Halton Arp, who I greatly admired. I try to imagine how he felt all those years of being denied the use of the great observatories of his day (by the gatekeepers of the orthodox view) so as not to give credence to the anomalous observational evidence he uncovered. The account of the redshift anomalies, distance and motion discrepancies, spiral and field galaxies plus the excellent visuals, Fig. 11-1 and Fig. 11-2, in the Chapter introduction is wonderfully readable and presented. The section “Galaxy Rotation and Dark Matter Redundancy” puts to rest the puzzling conundrum surrounding why spiral galaxies rotate as they do and why their star flows maintain orbital distances and velocities contrary to the Newtonian-Keplerian rule that prevails within the solar system. Together Fig. 11-4 and 11-5 beautifully illustrate spiral galaxies and the motion of their stars; all in accordance with a natural gravity postulate that embeds the aether into a dynamic process that gives reason and credence to why star distance and velocities are as they are. If this were not the case their stars would be flung away from galaxy cores into the beyond and spiral galaxies would cease to exist. Fig. 11-5 exemplifies the reality that rotating spiral galaxies are maintained and predisposed by two aether effects: aether inflow and aether acceleration. This segment is well done and should be taught in all classrooms in America and beyond. The segment on “Cosmic-Scale Structure” is great; especially enjoyed the Kona Conference context that drives a stake through the heart of current theories, namely the Big Bang model. I like the entire context that leads up to discussing the void, galaxy clusters, extended walls of galaxies, ninety-degree-wall structures, linear filaments, etc. Indeed, just the right place to introduce cosmic dodecahedral geometry all nicely presented and illustrated with Fig. 11-6, which deals with 4- and 8- arm structure with convincing realism. I particularly appreciate the paragraph (page 236) that addresses the Coma, Virgo cluster examples related to 8- and 4- arm galaxy clusters; and how all this is put into a context with our Milky Way. I wish there had been more in identifying the all-important "void" (Sculptor Void) we are a party to and other contiguous voids (Fornax, Canes Major, etc.). All in all, "Cosmic-Scale Structure" is nicely presented. “A Selection of Other Tests" leads to a climatic crescendo with David Layzer's concept that makes it clear that gravitational forces must regard [i.e., incorporate] center-and-edge architecture and, as the author puts it, "there must be a center-of-gravity location." The concept fits DSSU theory to a tee and destroys what little is left of Big Bang cosmology! Beautifully done throughout! It is made abundantly clear on page 240 where the need for a source energy is noted and where the chapter finishes off with Ockham's rule of simplicity —the application of this rule simply destroys all of the crazy theories and models out there that cannot hold a candle to the DSSU natural construction. Review: Without a single equation, Chapter 12 made my day. I admire the opening segment “Unification as a Guide to deeper Understanding” for its transparency and intelligibility. The Brian Greene quotes are well targeted for what follows, what amounts to an excellent summary of DSSU unification which unmistakably elucidates the heart of the non-material aether and resultant emergence of energy, mass, photon, electromagnetic effects, the cause of gravitation, special relativity, speed-of-light illusion, and time as process. The next segment “The Photon-Gravity Connection” focuses on a relatedness that many theorists have sought, including Einstein who had searched during many years of his life. “And the key was, as Einstein had suspected, the aether.” Revisiting this connection is of great consequence here. The mainspring of existence elucidation is followed by the “Concept Map of the Natural Universe.” This extremely important segment is profound, brilliant and beautifully crafted —start to finish. Altogether, a clear and well organized presentation of the 4 axioms and 4 postulates: a very decisive, defining moment within the pages of this book and the very heart and soul of Chapter 12 that defines the Natural construction. The addition of the flowchart (Fig 12-1) works well to bring together the remarkably balanced perpetual processes embodied in the four axioms and four postulates. I liked the breakaway discussion surrounding axioms Essence Process I and II, which, for some, may strike a metaphysical chord. Assuredly it is challenging to accept the very deep nature and subtle distinctions drawn between Axioms I and II since they are necessarily deep sub-quantum non-material processes. The metaphysical question was handily put to rest throughout page 256. Bravo! 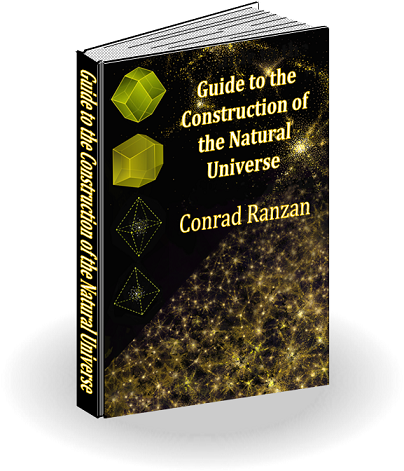 Readers are sure to come away from the clearly drawn "concept map" that views a Natural construction cutting through the morass of errant cosmologies (with their fine tuning problems and all). I hadn't realized that the four postulated processes carry such an exquisite balance according to which “increasing their rates” affects only cosmic cell size and changes mainly the distance between nodes! Again, the calculations, reasoning and logic preserve our extraordinary construction from A to Z.
I must mention, the similarity between Postulate #I and essence process II sent me to revisit Ranzan’s earlier journal-published Paper, “The Processes of Gravitation.” It was breathtaking to read again the precise numbers describing aether points a kilometer apart that grow barely over 3 centimeters every million years. But scaled cumulatively within colossal cosmic voids, the prodigious space-medium expansion boggles the mind; meanwhile, the opposite occurs at nodal gravity wells where contractile aether dissipation (via Postulate #2) and resultant end-process extinction take place. The closing segment “Apparent Chaos and Concealed Order” explains in unambiguous terms why an intrinsically highly-ordered cellular universe appears to be so chaotic. It explains the misguided confusion among astronomers who see and interpret the evidence of explosion, disorder, randomness and chaos, evidence that grows more pronounced the deeper they peer into space with their telescopes. And yet the distortions are, in fact, the line of sight consequences of a highly ordered cellular universe. I enjoyed the discussion of observational gravitational lensing. True enough! Astronomy, must come to terms with the observational line-of-sight realities. The unending plethora of powerful nodal gravity wells bend and distort the light the deeper one peers into space. Hidden in the chaos is the beautiful aesthetic order of DSSU multi-cellularity. The writing and erudition I found to be masterful! All in all, a very well done chapter indeed. Review: I've immersed myself mightily in the last chapter, "The Secret of the Universe" and have come away with ever increasing understanding of the finer details that brought this book, over the years, to fruition. This chapter is wonderfully written with crystal clear summation of all the preceding chapters. The opening "Wherein the Secret Lies" sets the stage and reveals a recurring historical pattern; we learn the root of Einstein's insistence that the universe had to be balanced. Indeed, it becomes clear that the true secret lies in “balancing the positive and negative energy of the universe.” And the challenge has always been in achieving that balance. The segment “Energy Balance in the Natural DSSU,” with the aid of Table 13-2 and 13-3, brings into sharp focus the difference between the approach that fails and the one that succeeds. The energy-accounting comparison clearly shows the physics community has had it wrong by ignoring the role of aether and Lambda with respect to gravity, mass and energy. The author succeeds in untangling the morass of confusion. Without reiterating the obvious, it is enough to say that Lambda stands as a perpetual font, ever positive and ever in harmonious opposition to absolutely all forms of "negative" energy —radiation, mass/matter, and gravitation, which must by cosmic necessity annihilate aether units singly or en masse in order to exist. And so it is that both sides, negative and positive, exist as opposites in harmony and epitomize "the secret of the universe." I can only applaud, loudly what follows with “A Historical Quirk, a Fateful Imbalance” all nicely put forth in clear prose, along with Table 13-4, which speaks for itself. Surprised by Feynman's taking the positive view entirely, which he bases on the presumption that all one needs is to have everything work out mathematically; the same may be said of Dirac. I'm convinced by the Natural view that “all matter and antimatter represent negative energy” and the logic of placing mass, radiation, electric fields, magnetic fields, and gravity on the same side of the accounting chart. I continue to be most pleased that DSSU elevates the photon and reinforces its fundamental position once again. High applause, too, for the “Source Energy” segment. I especially love the “principle of limited existence.” All of nature from lowly bacterium to the mighty spiral galaxy must, by natural law, have limited existence whether considered philosophically or scientifically. Both play in the same yard and by the same rules. Order prevails, but defining "order" becomes an interesting open question restrained only by cosmic law; and particular emphasis is given to “source energy as unique” and assuredly not a "seed" in any sense of the word. The discussion of the cosmic essence process inspired me to higher levels of visualization. … Yes, indeed, the essence process is a "special" philosophical mysterious process. I like the rendition, Fig.13-1, because the balance-scale image is logical and identifies “the secret lies in the perpetual balance between Source Energy and Sink Energy.” … I'm particularly stirred by the flowchart (Fig.13-2). Now, "On the Balance of the Evidence": I like the discussion within this segment and very much appreciate, as will other readers, the Table 13-5 and 13-6 summaries. They are both excellent and well put together. 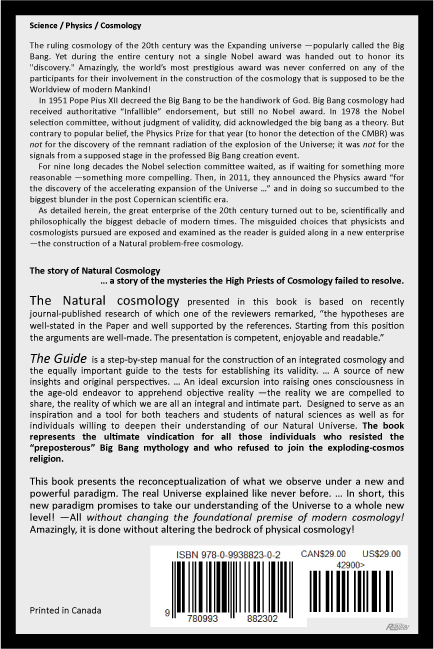 The contrasts between the expanding universe paradigm and Natural cellular cosmology columns are clear and telling. Well done and nicely placed, particularly as they present a factual realistic critique that gives clarity and realism where it is most needed. Here, surely, the Book succeeds in driving a silver stake through the heart of the expanding universe paradigm. The section “Fateful Assumptions” works well with the preceding segment because it recapitulates the historical record of "self-delusion" and worse. I like the writing style throughout this entire Chapter and especially in this concluding section where we find some fiery prose with a certain genuine passion. Here we find writing reinforced by the honest convictions of a dedicated scientist who believes in the power of study, research, love of science, focus of mind, and respect of history for conveying reality —particularly the reality that comes from inspired truth about the mystery of existence.